It’s really quite impressive how many of us can go around with a copy of the U.S. Constitution in our hip pocket, yet still have no idea what it does and does not say. 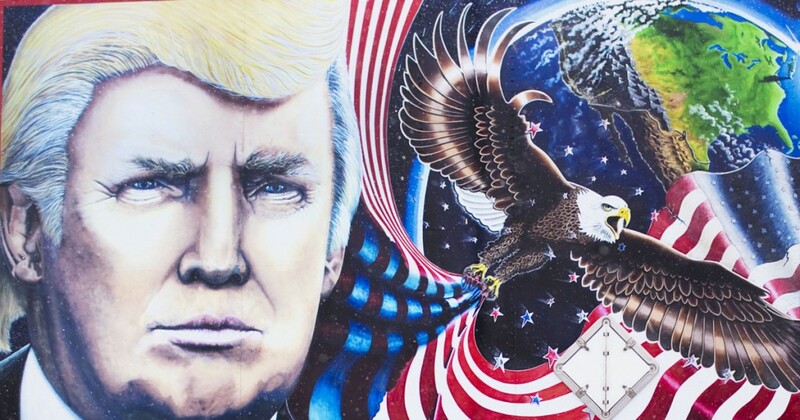 Case in point: artist and Trump evangelist Julian Raven painted the above larger-than–life paeon portraiture back during the 2016 campaign. After his candidate won, he knew there was just one place to display it. Alas, the Smithsonian National Portrait Gallery said “nah.” Art is doubtlessly subjective, and the museum’s admittedly subjective reasoning (“It’s too big,” “It’s too political,” “It’s not very good”) was deemed insufficient by the ruffled Raven. He has filed suit, arguing that…well, it’s not exactly clear what he’s arguing. He cites First Amendment free-speech issues, but the pesky plain text there makes clear that our right is simply this: the government cannot stifle free expression. The fact that no deep-stater succeeded in stopping Raven from putting brush to canvas demonstrates that his rights were in no way infringed. His painting was displayed to rave reviews at last month’s CPAC (Conservative Political Action Committee) conference, so it’s difficult for him to even say that his work is somehow being suppressed. The initial case was dismissed in U.S. District Court, with the presiding judge noting that far from Raven’s free speech being infringed by the Smithsonian, he was attempting to infringe theirs, by forcing them to accept art they didn’t want. That logic failed to impress, unsurprisingly, and Raven is appealing. But maybe a U.S. congressman might understand how the Constitution works? You wish. 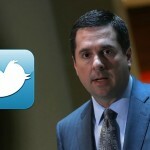 Rep. Devin Nunes (R-CA) is suing Twitter for $250 million, claiming that the social networking site has violated his free-speech rights by actively censoring his tweets, while simultaneously working to promote anti-Nunes parody accounts, such as Devin Nunes’ Mom and Devin Nunes’ Cow. Twitter hasn’t yet responded to the suit, for reasons that I can only assume are mind-numbingly obvious: they’re a private corporation, and their responsibility for Devin Nunes’ First Amendment rights is approximately equal to my obligation to train and equip the First Marine Division. Yet somehow the good congressman doesn’t seem to get that. Or maybe he’s just jealous—of his cow. As of this afternoon @DevinNunesCow has about 100,000 more followers than @DevinNunes. This entry was posted in New Post and tagged Art, CPAC, Devin Nunes, Julian Raven, Twitter. Bookmark the permalink.